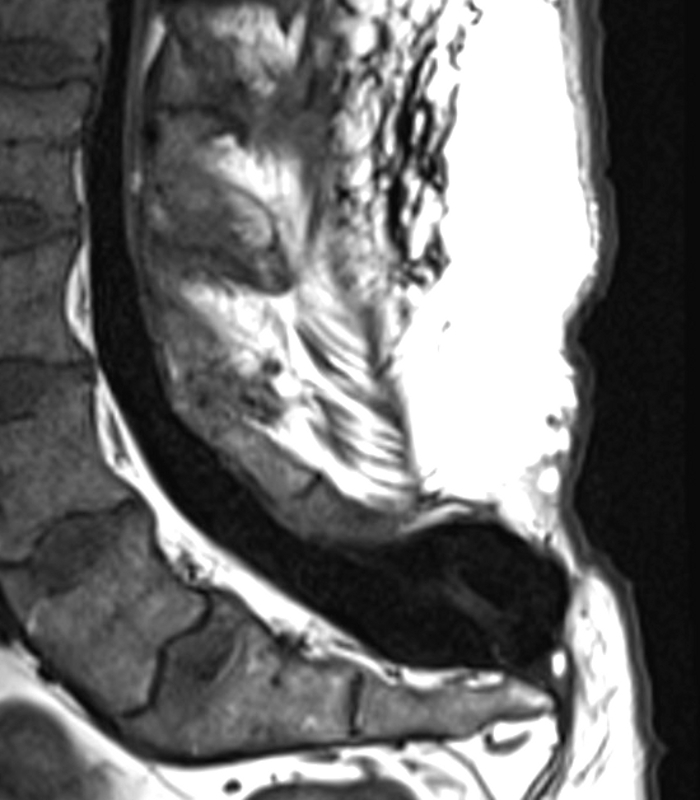 You are here: Home / Clinical Imaging / Cases / Sacral spinal dysraphism with a meningocele. 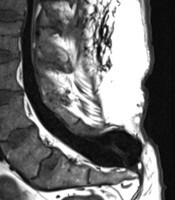 Sacral spinal dysraphism with a meningocele. 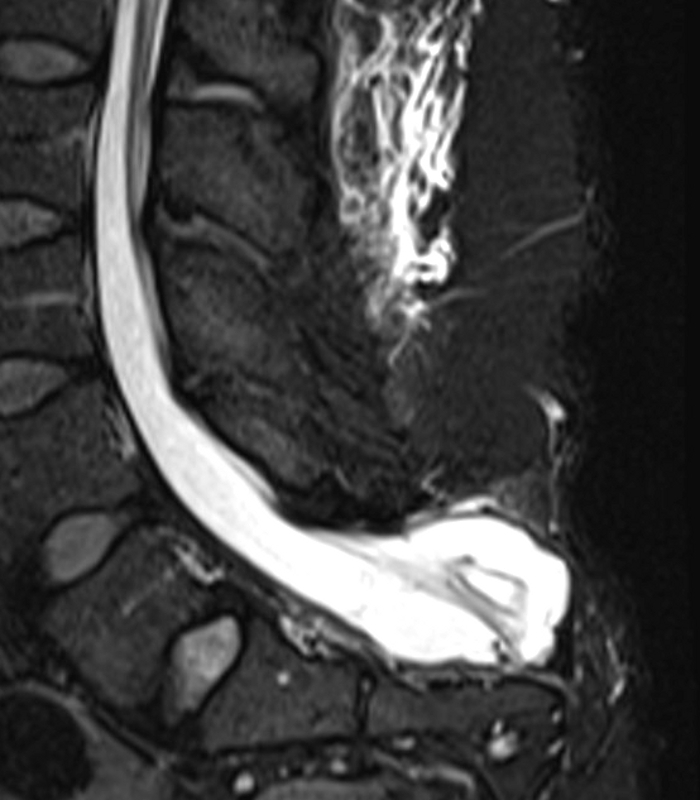 A 40 year old female with history of spina bifida. Spinal dysraphism with a tethered filum terminale to the right and a 3-4 cm meningocele are present at the level of S1 and S2.